China is an established customer for Russian military aerospace products; recently, the two countries have also been developing successful cooperation on a number of commercial aircraft programs. 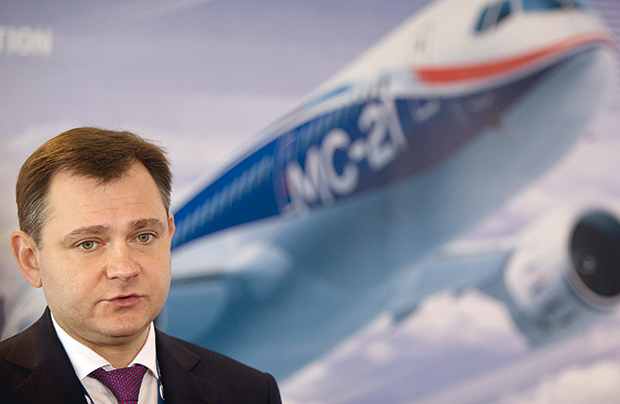 Yury Slyusar, president of the United Aircraft Corporation (UAC), told Russia & CIS Observer, Russian Aviation Insider’s sister publication about the joint projects presented at Arishow China 2016. – Mr Slyusar, how comfortable does UAC feel on the Chinese market? — This year we witnessed the signing of an intergovernmental agreement on the joint development of the new widebody long-range aircraft, and the founding documents were finalized for a joint venture to be registered in Shanghai shortly. These were important milestones demonstrating both parties’ commitment to long-term cooperation for the benefit of the project. We are also working on military programs and on a number of other commercial and specialized aviation projects, so more news are to come. These developments indicate that the level of cooperation between the two countries is growing, and that Russia is increasingly focusing on the Chinese market and on the Asia-Pacific region in general. – Could you expand on UAC’s civilian programs? — This year has seen several developments related to our civilian products, including the rolling-out of the first Irkut MC-21 flying prototype, the decision to resume Ilyushin Il-114 production, and the presentation of the first Taganrog-assembled Beriev Be-200ChS amphibious aircraft. The general trend, therefore, is towards boosting the civilian component of our overall output. UAC plans to diversify the structure of deliveries and considerably increase the share of revenues coming from civilian sales. Our aim is to bring this share up to 40% or more in the future. Our Sukhoi Superjet 100 (SSJ100) aircraft have been performing well with Mexican carrier Interjet, which currently operates 20 of the type. Irish regional airline CityJet has started operating the type on its European flights, including in the interest of major EU carriers. At a recent conference of the European Regions Airline Association in Madrid, CityJet praised the airliner for its high reliability and good performance. Our program to develop the MC-21 airliner is edging towards the first flight. The portfolio for the type is mainly represented by Russian customers, but we also have orders from foreign companies. – Could you provide more details on UAC’s third project, the one to design a widebody airliner? – This is indeed our third global project; we are implementing it in partnership with COMAC. This way we hope to offer an internationally competitive solution in the most popular civilian airliner segments. We believe this cooperation to be very important: in order to be successful on the highly competitive market, we are joining intellectual and technological resources with our partner. We will rely on our countries and the primary markets for the aircraft. Both partners have complementing unique competencies to offer, allowing us to share the risks and, not less importantly, the financial costs involved. We are currently in talks over the distribution of development and production workloads, and certain agreements have already been reached: in particular, Russia could manufacture the wing and empennage with the use of an advanced composite infusion technology, whereas our Chinese colleagues could be responsible for the fuselage and for final assembly. – What about the future airliner’s characteristics? – It is too early to discuss any precise performance specifications, size, and weight; what is already known at this stage is that the baseline version will seat 280 passengers, and will have a range of around 12,000 km. We are planning to design a family of three airliners; apart from the baseline, there will be an aircraft seating fewer passengers and a stretched version. Deliveries are expected to begin beyond 2025; this will help us ensure the necessary level of competitiveness. The COMAC stand here at Airshow China 2016 features a model of the future airliner.